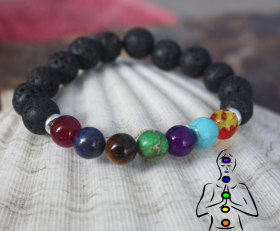 Chakra Bracelet is perfect for the new year as you look to be healthy. 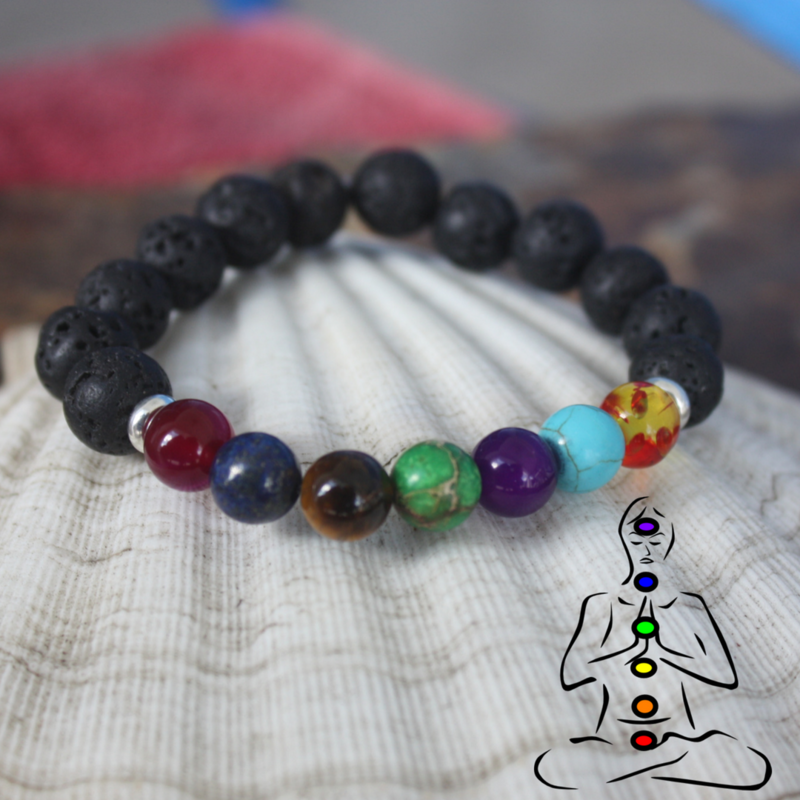 The 7 gemstone beads represent your 7 Chakras which are the centers in our bodies in which energy flows through. The bracelet is finished with black lava beads which are porous and you can soak your essential oils in them. Categories: Beaded Bracelets, Bracelets, Yoga / Zen Life Bracelets, Yoga / Zen Life Jewelry.